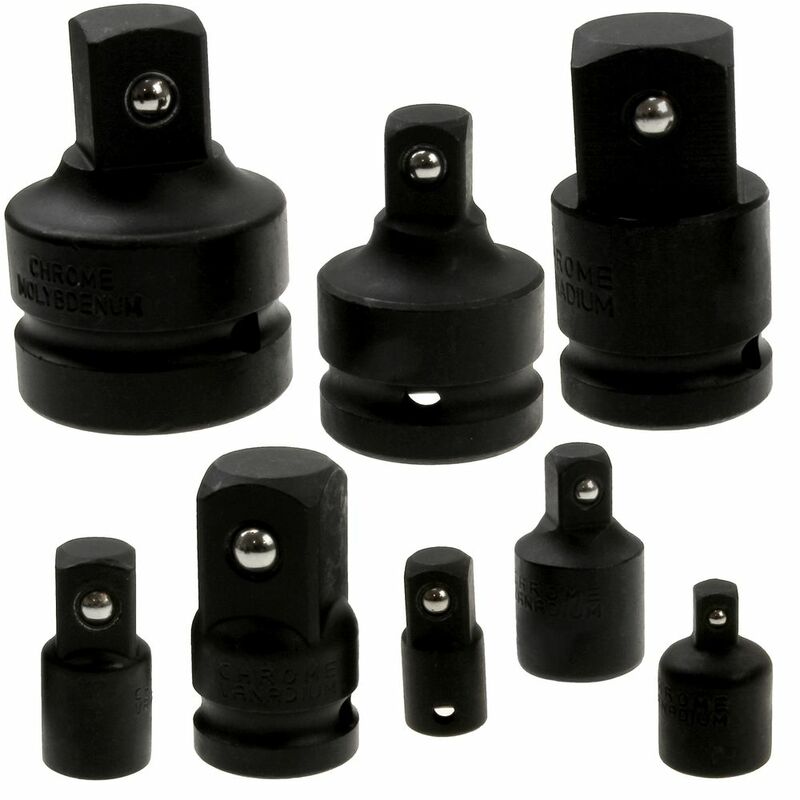 These handy adapters allow you to use the same impact wrench for multiple socket sizes. 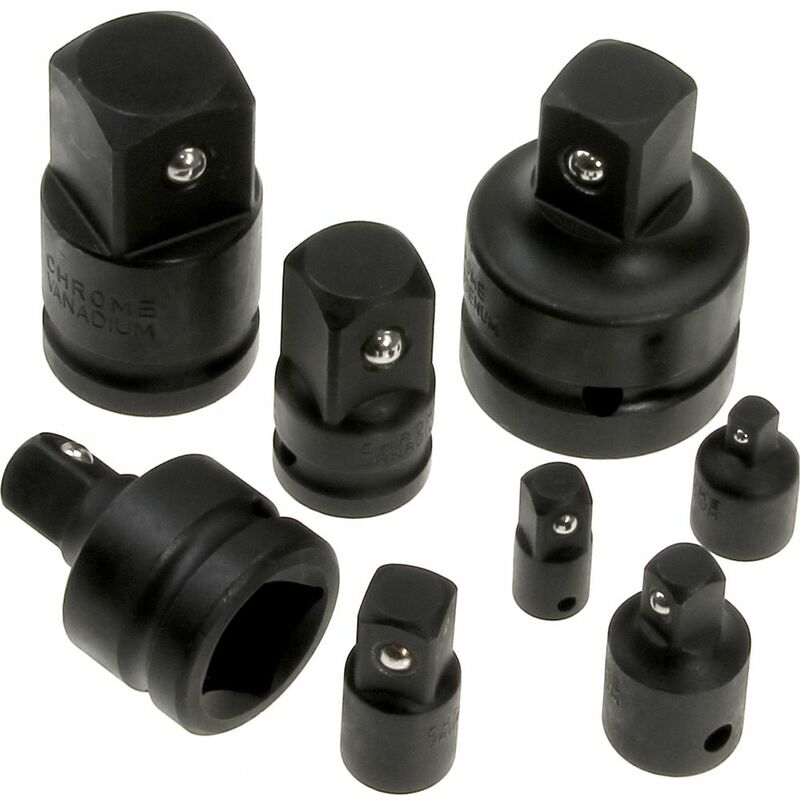 Ball detent securely holds sockets on the coupler. HEAVY DUTY Chrome vanadium steel with black industrial finish.